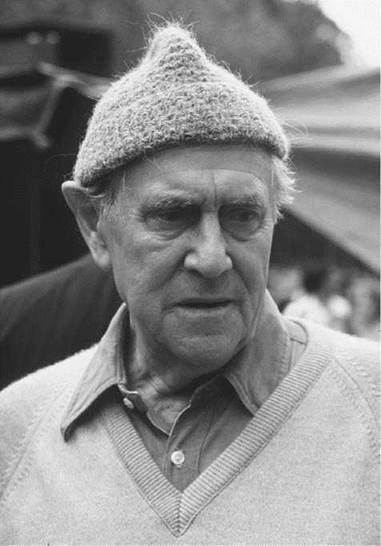 Best known as the author of such novels as The Tree of Man (1955) and Voss (1957), Patrick White remains a central figure in Australian literature. The Nobel Academy awarded him the Nobel Prize in Literature in 1973 for ‘‘an authentic voice that carries across the world,’’ but his unflattering portrayal of Australian society denied him the stature within his homeland that he enjoyed elsewhere. White’s novels are stylistically complex explorations of isolation, often featuring unstable and eccentric characters who attempt to forge some semblance of normalcy in a banal and often cruel environment. Educated in England. The first child of a wealthy Australian couple, White was born while his parents were visiting London in 1912. He began writing plays at an early age and attended schools in Australia until the age of thirteen, when his parents sent him to Cheltenham College, a boarding school near Gloucester, England. After graduating in 1929, White returned to Australia and worked for two years as a jackeroo, or ranch hand. During this period, he published a small volume of poetry—Thirteen Poems (1930)—and began writing novels. In 1932, White returned to England and entered Cambridge University, where he studied French and German. Receiving his bachelor’s degree in 1935, White remained in London but frequently traveled throughout the United States and the European continent. He published another volume of poetry, The Ploughman, and Other Poems (1935), contributed several short stories in the London Mercury, and put out his first serious novel, Happy Valley (1939). Awarded the gold medal of the Australian Literary Society in 1941, Happy Valley takes place in a fictional rural region of Australia during the mid-1930s and chronicles the events leading up to the murder of an adulteress and the subsequent death of her killer. Served in World War II. During World War II, White served in the Royal Air Force as an intelligence officer from 1940 to 1945. World War II began in Europe in 1939 when Great Britain declared war on Germany after the Nazis invaded Poland. Britain and its allies sought to contain German leader Adolf Hitler’s territorial and military ambitions, but Germany was able to control much of continental Europe for much of the war and heavily bombed Great Britain in preparation for an invasion that never happened. Great Britain’s casualties reached seven hundred thousand over the course of the conflict. Australians fought alongside the British during the conflict, primarily in the Middle East theater from 1940 to 1942, then in the Pacific theater after the Japanese attack on Pearl Harbor. While serving in the military during the war, White published one novel. The Living and the Dead (1941) centers on a middle-aged bachelor who reflects upon his childhood and family history. This work is chiefly noted for its development of stream-of-consciousness narration and its use of flashbacks. After World War II ended, White returned to Australia, where a period of intense immigration had just begun. There, he focused primarily on writing and soon became a literary success. White’s third novel, The Aunt’s Story (1948), is generally considered his first major work. International Recognition. After moving to a six- acre property known as Dogwoods, where he grew fruit and flowers, gathered farm produce, and bred goats and schnauzers, White published his fourth novel. He received international recognition for The Tree of Man (1955), which concerns a pioneering Australian couple who establish a farm at the turn of the twentieth century. The eponymous protagonist of White’ next novel, Voss (1957), is modeled after Ludwig Leichhardt, a German explorer who disappeared while attempting to cross the interior of the Australian continent during the 1840s. Contrasting the experience of outsiders in Australian society with those of the well-established middle class, much of the narrative alternates between Voss’s expedition across the outback and the daily life of Laura Trevelyan, a young woman living in Sydney with whom Voss shares an intuitive emotional bond that some commentators have described as telepathic. The author continued to write challenging books in the 1950s. Riders in the Chariot (1961) concerns the persecution of four social outcasts by the inhabitants of Sarsaparilla, a fictitious suburb of Sydney. Critics have frequently noted White’s satirical condemnation of the stifling conformity of suburbia in his portrayal of the residents of Sarsaparilla. White’s seventh novel, The Solid Mandala (1966), is also set in Sarsaparilla. Nobel Prize. White’s output was unabated in the 1970s. In The Vivisector (1970), he examines the relationship between the artist and society through his portrayal of the artistic and emotional development of a fictional Australian painter. White was awarded the Nobel Prize for his realistic portrayal of Australian society shortly after the publication of his ninth novel, The Eye of the Storm (1973). The author’s life changed after he won the award as he was compelled to become a public figure. White became more outspoken on national and international issues, speaking out against Australian conscription for the war in Vietnam and the power brokers in Sydney, for example. He also used his Nobel Prize money to fund a grant for Australian writers. By the end of his life, White resided on a duck farm in New South Wales, where he lived off the produce he raised there. During his last decade, he published his third short-story collection, Three Uneasy Pieces (1987). Like his previous two collections—The Burnt Ones (1964) and The Cockatoos (1974)—many of these stories feature the Sarsaparillan settings and themes found in his novels and are often noted for their harsh satirizing of middle-class life and politics. White also published another novel, Memories of Many in One, by Alex Xenophon Demirjian Gray (1986), his last work of fiction; Three Uneasy Pieces (1987); and his autobiography, Flaws in the Glass: A Self Portrait (1981), which focuses primarily on his early life and relates his experiences as a writer and homosexual in Australian society. As he had for many years, White continued to point out corruption in the Australian government as well as its inhumane treatment of aborigines. White openly boycotted the 1988 celebrations commemorating the two hundredth anniversary of white settlement in the country. He died after a long illness on September 30, 1990, in Sydney, Australia. Sidney Nolan (1917-1992): One of the best-known Australian painters, Nolan made a name for himself with an iconic series of paintings of the outlaw hero Ned Kelly. Tennessee Williams (1911-1983): One of the most successful and influential playwrights of the twentieth century, the American Williams specialized in writing emotionally charged character studies set in his native South. Many of his plays, such as A Streetcar Named Desire (1947) and Cat on a Hot Tin Roof (1955), were adapted into successful films. Yuri Gagarin (1934-1968): Soviet cosmonaut Gagarin became the first man in space and the first to orbit the earth on April 12, 1961, beating the Americans in the space race by twenty-three days. Ernest Hemingway (1899-1961): An American novelist and journalist, Hemingway's rugged, globe-trotting lifestyle was almost as noteworthy as his distinctive prose stylings. Winner of the Nobel and Pulitzer prizes, Hemingway's writings, such as The Old Man and the Sea (1952), are still widely read and highly influential. Groucho Marx (1890-1977): Perhaps the best known of the Marx Brothers comedy troupe, Groucho was famed for his distinctive look—greasepaint eyebrows and moustache, and a porkpie hat—and his razor-sharp wit. His films include Animal Crackers (1930). As a writer, White found much of his inspiration in the way people lived and thought in the varied, harsh Australian landscape as well as his own sexual identity and interest in spirituality. Other authors also affected his works, and he was influenced by and compared with Russian novelist Leo Tolstoy for his psychological perceptions, the epic nature of his works, and his variety of characters. In addition to being influenced by D. H. Lawrence and Thomas Hardy, White’s modernist tendencies can be linked to his interest in James Joyce’s Ulysses (1922) and the abstract paintings of Australian painter Roy de Maistre. Isolation. White’s frequent use of the isolation theme in his fiction was rooted in his personal feelings of alienation from his fellow countrymen. Several periods of expatriation preceded his ultimate return to Australia. As he explained to Ingmar Bjoerksten in Patrick White: A General Introduction: ‘‘It was eighteen years before I dared to come back to Australia for the third time.... I couldn’t do without the countryside out here. I don’t believe in a final break with the place one originates from. Only a temporary break ...to get perspective. You are shaped by the place you have your roots in; it has become part of you. Outside places don’t shape you in the same way. This has nothing to do with nationalism. People are always the same. This is what my compatriots find so difficult to understand.’’ Bjoerksten explored another possible cause of White’s feelings of alienation: ‘‘For a long time he was dismissed as peculiar, pretentious, and irrelevant by his countrymen, whose restricted vision and whose limited experience of what human life has to offer he exposes time after time, while simultaneously attacking the holy cow that they so deeply revere: an uncritical materialism that never questions itself.’’ White’s 1973 Nobel Prize has gained him greater acceptance among Australians, although he is still more widely read in other countries. White’s Homosexuality. White saw no need to write the ‘‘great Australian homosexual novel’’ although he was urged to do so. He despised those who surrounded themselves with fellow homosexuals, yet he made no apologies about his own sexual orientation, which he thought to be the source of his creativity. For him, homosexuality meant a blending of masculine and feminine, and he credited his feminine side with the insight that enabled him to depict so accurately the spiritual and psychological inner beings of his characters. Although there are few overtly homosexual figures in his novels, and they are often singled out and criticized for shallowness, there are many substantial, almost mystical friendships, such as that between Voss and Harry Robarts. His ‘‘heroes’’ are mystics, driven to pursue the meaning below the surface of everyday life. Influence. As a leading author in twentieth-century Australian literature, White affected the generations of Australian novelists who followed him in the late twentieth and early twenty-first centuries. While all Australians have not always appreciated the way White has depicted them or their culture and society, his Nobel Prize brought greater attention and worldwide recognition of his power and influence as an author. He also helped financially support Australian writers through the grant program he established with the money that accompanied the Nobel Prize. ''The most merciful thing in the world, I think, is the inability of the human mind to correlate all its contents,'' he once stated. Waiting for Godot (1953), a play by Samuel Beckett. ''A tragic-comedy in two acts,'' this play centers around characters who spend the entire performance waiting for a man named Godot—who never arrives. The exact meaning of Godot's nonappearance has been linked to religion, philosophy, psychoanalysis, and the human condition. The Awakening (1899), a novel by Kate Chopin. An early feminist novel that examines the consequences of a woman's attempts to establish an individual identity in the suffocating upper-class society of her contemporaries. White’s reputation as a writer rests primarily on his novels, though his short stories, plays, and poetry have received increasing critical attention. With the publication of The Aunt’s Story and The Tree of Man, he achieved international recognition as a novelist with a distinctive, if somewhat disturbing, literary style and vision of life. But such praise was almost exclusively outside his home country. In Australia, critics and readers initially found White’s work harsh and difficult to read. This view changed with the publication of such masterworks as Voss, Riders in the Chariot, and The Solid Mandala in the late 1950s and early 1960s. White is now generally recognized as one of Australia’s most important writers, perhaps its greatest novelist of the twentieth century. Many critics have found that his writing is ‘‘unreadable’’ and convoluted, that his symbolism is sometimes heavy-handed, and that his characterizations are restrictive or uneven. Others, however, have argued that within White’s cynicism is a recipe for wisdom and redemption, and that his brutally honest depictions of the sinister aspects of human life contain hints, if not confirmations, of a higher reality to our mundane existence. 1. White’s unique style has drawn as many negative critiques as encomiums. Write an essay in which you explore this question: Do you feel his style interferes with the message of his writing or supports it? 2. Despite feeling his whole life that he was a ‘‘Londoner'' and not an Australian, White set all his novels in Australia. In a small group, discuss these questions: How does this ambivalence manifest in White’s writing? Why do you think White chose to write about Australia if he felt so disconnected from it? 3. Voss centers on the real-life nineteenth-century attempts to cross the Australian outback. Research the life of Ludwig Leichhardt and other outback explorers and write a paper that includes your findings and answers these questions: What were some of the hardships they faced? Does White do an effective job of communicating these difficulties? 4. Create a presentation that answers these questions: How does White view organized religions? How does he address theological questions in his work? Does White think religion is relevant in modern society? Bjoerksten, Ingmar. Patrick White: A General Introduction. Queensland, Australia: University of Queensland Press, 1976. Dyce, J. R. Patrick White as Playwright. Queensland, Australia: University of Queensland Press, 1974. Giffin, Michael. Arthur’s Dream: The Religious Imagination in the Fiction of Patrick White. Sydney: Spaniel, 1996. Morley, Patricia A. The Mystery of Unity, Theme, and Technique in the Novels of Patrick White. Montreal: McGill-Queen’s University Press, 1972. Williams, Mark. Patrick White. New York: St. Martin’s, 1993.